The Blair County Resource Recovery Facility, a sister organization to Burgmeier’s Hauling, is a Pennsylvania Department of Environmental Protection (DEP) licensed transfer station – an intermediate location between your hauler and the landfill. 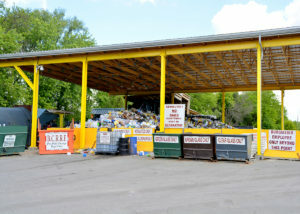 Members of the public are also welcome to deposit bulk items or other trash at the transfer station. Questions about our transfer station? Complete and submit the follwing form. Fields marked with an asterisk (*) are required. 1356 Old Sixth Avenue Rd. © 2019 Burgmeier’s Hauling, Inc.